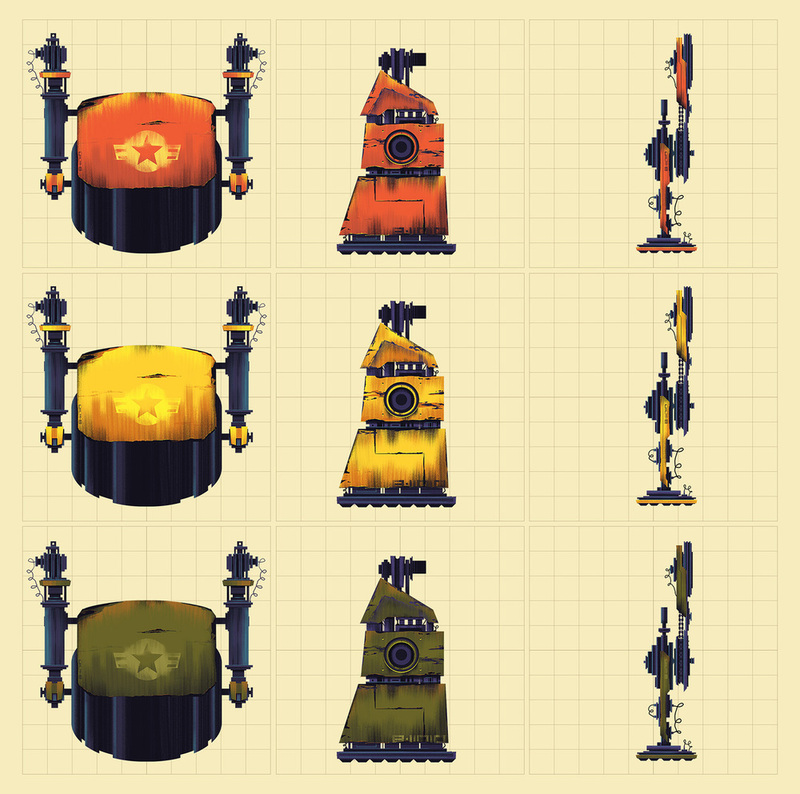 In 2014 I had the opportunity to do an art test for Tiny Bop's "Robot Factory". The project was a lot of fun and even though my direction wasn't chosen, I still had a great time working on these components. Big thanks to the fine folks at Tiny Bop for the opportunity and consideration and to my agent, Deborah Wolfe, for helping me so much with all the business details and encouragement. The project called for two large components: 1. A set of robot parts (head, chassis, arms, legs) which could be used interchangeably to give users an opportunity to customize their robot designs and 2. A sample background treatment which was infinitely tile-able without being too obvious. Given my love for robot projects and video games, and my background in both of them, I was very excited to get started. I really felt like I was onto something here. I had the look I had pictured it in my head directly onto my canvas which meant it was now time to customize the rest of the robot parts. Needless to say, I was having a lot of fun with this project. Assembling the robot pieces was really rewarding and I loved imagining how each of these robots would perform uniquely within the environment. Which reminds me! The environment!!! And with the environment in place, my art test was complete! Like I said, this one was so much fun to work on and I hope it shows. Thanks for watching!